As classy as their bowler hats and charming as their classic comedy, the bittersweet biopic “Stan & Ollie” pays loving homage to the iconic stage and screen duo of Stan Laurel and Oliver Hardy. Oscar-nominated contemporary comedy powerhouses Steve Coogan and John C. Reilly fully immerse themselves in the roles of Laurel and Hardy, respectively, and their performances bring back to life the deceptively simply, exquisitely timed routines that made the legendary pairing such comedy gold. Now a superstar duo, Laurel and Hardy initially came to Hal Roach Studios separately as unknowns, so their contracts are due to expire at separate times, with Laurel in particular engaged in acrimonious negotiations with the studio’s eponymous mogul (a gleefully slimy Danny Huston). Rather than chronicling the duo’s rise and fall, “Stan & Ollie” slips ahead 16 years to 1953 as the aging pair reunites after a significant separation. The rise of television and of fellow comedy duo Abbott and Costello has dimmed their star, so Laurel and Hardy embark on a taxing stage tour of small, dodgy theaters across post-World War II Britain in the hopes of drumming up interest in and financing for a new movie. As the duo shakes the proverbial rust off and begins to get their comedy magic back, the crowds start to grow, especially after cheeky British theater impresario Bernard Delfont (a delightful Rufus Jones) fast-talks them into making some uproarious promotional appearances. 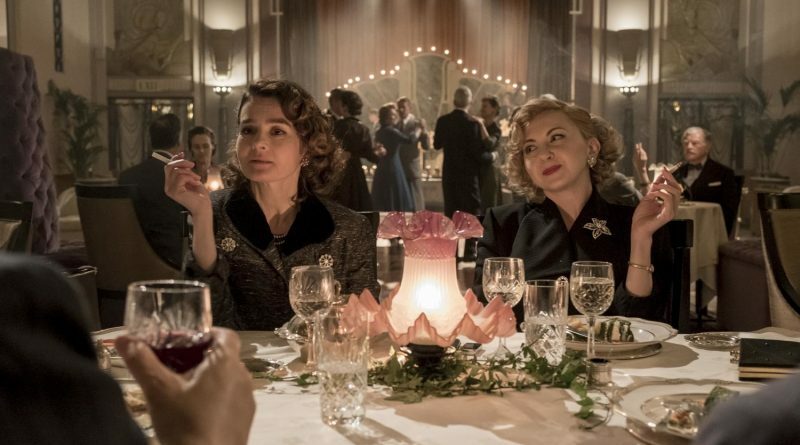 But old resentments linger between the pair, and when their protective, opinionated wives – Shirley Henderson as Lucille Hardy and Nina Arianda as Ida Laurel, who darn near steal the movie – arrive to visit, those unresolved tensions threaten to scuttle the reunion tour. More than just a biopic of two entertainers starting their swan song, “Stan & Ollie” is a warm and wistful drama about a long relationship entering its twilight years. Although it’s not really a comedy, the actors and filmmakers capture the spirit of Laurel and Hardy’s droll genius, showcasing some of the signature song, dance and slapstick routines that remind audiences why their legends live on.